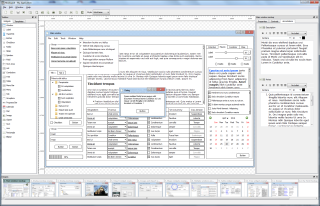 MockupUI is a user interface mockup and wireframing software. It helps software designers and developers or any person with a software project to quickly turn their ideas into high fidelity mockups or wireframes and create design specification documents. Accurate UI design specifications enable you to reduce software design costs through better estimates for development efforts, less design iterations and help you ensure that designs achieve their requirements. The benefits of using MockupUI are endless. It makes it easier to prototype user interfaces with no programming involved, validate UI design concepts, elaborate accurate requirements and specifications and eventually be more convincing in front of stakeholders and clients.